8th January 2013. Welcome to 2013! Our offices will reopen on the 7th of January, but to keep you from missing your regular ExplorOz news we've put together a reflection on the year that was 2012, with all of our most popular developments, products and articles. This Newsletter was partially sent on the 3rd of January, however was halted due to a connection failure. We apologise for the delay and hope you enjoy reading Newsletter 279. Welcome to 2013! Our offices will reopen on the 7th of January, but to keep you from missing your regular ExplorOz news we've put together a reflection on the year that was 2012, with all of our most popular developments, products and articles. 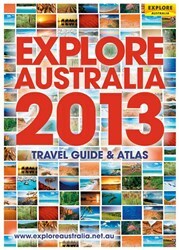 Throughout 2012 ExplorOz was gradually updated to a whole new format, making the site easier to navigate and use. The addition of Text Search, as well as "Browse By" options to the Classifieds, Articles, Treks and Places has had a big impact on how you access the wealth of information ExplorOz, so if you haven't visited the site in a while, now's the perfect time to check it out. Especially for Facebook users, we introduced the ExplorOz App. Using your Facebook login on ExplorOz allows your ExplorOz activity in the interactive areas of the site to be posted into your Facebook profile automatically (you can also manually control who sees these). Find out more about how this feature works here. ExplorOz Mobile was introduced mid year, which focuses on areas of the site that you'll need when you're on the move. If you haven't already, go to m.exploroz.com using your mobile device to have a look. As you travel and experience new parts of Australia, you may become interested in finding out more about Australia's Nature, Culture, and History. 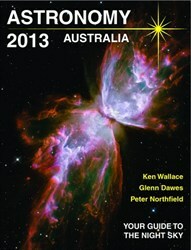 And going by the response received to this year's Australiana articles, this is certainly the case for may of you. In particular, the addition of The ANZAC Legacy to the Australian Identity sub-section was something that many regular site users had been waiting for. So what's all the fuss about? Get reading and find out! As well as our monthly $100 shop voucher giveaway, there were also several other major prize draws throughout the year, some of our favourites were the ones where you contributed to go in the draw, these included the Kimberley Photo Comp, which brought out some stunning images of this region, theJetboil Flash + Coffee Press pack Member Comp with some hilarious and "too true" reasons for needing a coffee on the go. With thousands of dollars of free gear given away to both ExplorOz Members and Visitors, we're ready to do it all again next year, so keep reading your newsletters this year for all the latest on how to win. The H2No Towels introduced in the ExplorOz Shop this year make it even easer for you to keep clean on the road, with no need for water and no sticky residue as found in other wipes on the market. And they're extra large so you only need to use one for a whole body clean! Each H2No Towel is packaged singly for convenience but sold in packs of 25. This product proved to be so popular as it is so effective and reasonably priced. New Summer pricing has just been been introduced, see the buying options on the product page here - due to demand there is an eta on this product of 1-2 weeks. 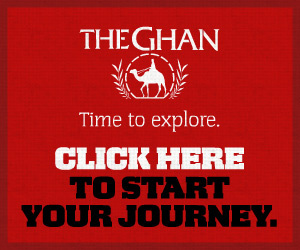 We have a huge range of new products expected this year, and to get us started, see a selection of 2013 titles in the right hand side of this newsletter, as well as Special Promotion for travel on The Ghan this year. Available now here. Also in stock 10th Editions of the Australia Easy Read Road and 4WD Atlas, Australia Handy Atlas, and the Australia Touring Atlas.